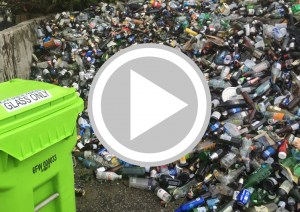 Check out our glass recycling video. Businesses who generate the most glass bottles are largely restaurants, bars, caterers and other hospitality related entities. These organizations can recycle their glass bottles by working with a commercial recycler who will collect bottles along with other recyclables to local material recovery facilities (MRFs) for processing. Residents can use local recycling drop-off centers or curbside collection as available in their area for glass recycling. Recycled glass is a commodity in SC that has faced market challenges because it contaminates other materials, has low value and high transportation and processing costs. The closest glass processor to South Carolina is Strategic Materials with locations in Wilson, NC and College Park, GA. Examples of reuse of glass in SC: 1) the Horry County Solid Waste Authority which accepts residential glass and has invested in glass crushing equipment to create a crushed glass product suitable for landscape and roadbed applications. 2) Fisher Recycling in Charleston, SC constructs countertops with recycled glass. Fisher Recycling solely provides commercial collection of glass and collects glass bottles from businesses such as restaurants and bars. 3) ReWined in Charleston, SC crafts the base of repurposed wine bottles from restaurants into candle vessels with a 100% natural soy wax. 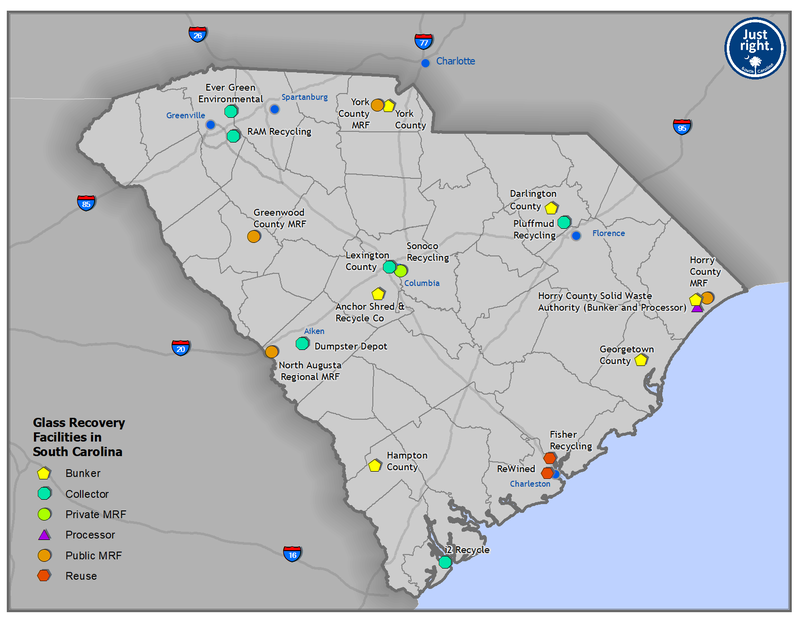 South Carolina has several public and private material recovery facilities (MRFs) who process glass. The MRFs accepting glass are Sonoco Recycling in Columbia, Horry County Solid Waste Authority, North Augusta, and Greenwood County.